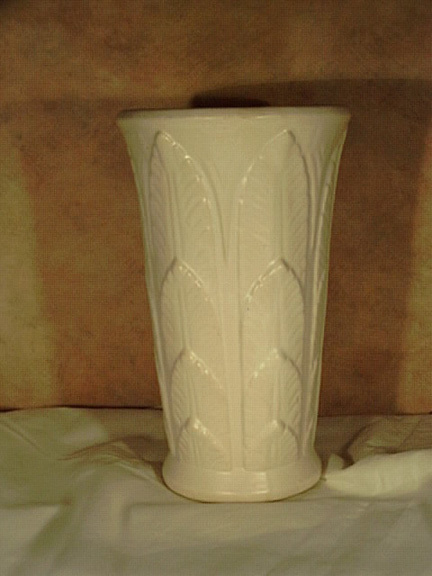 Description: Weller Crystalline vase. 10 inches tall. Matte white. unmarked. Some crazing. 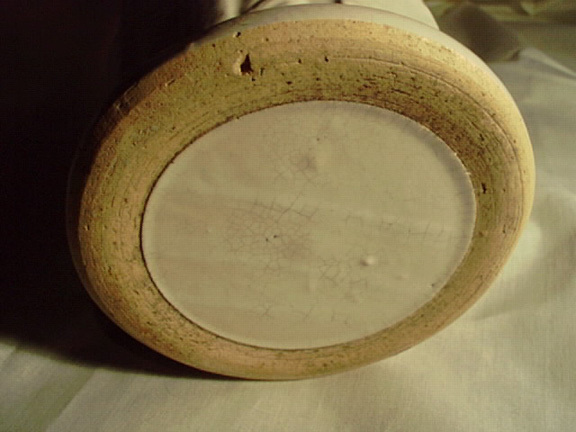 This mold was latter used by Ransbottom (RRP Co.) but those were marked as such.